Romania has become one of the strongest interests for foreign immigrants in recent years. Most immigrants come from China, the Republic of Moldova and Turkey, the Republic of Moldova being the first. Prior to 2004, the number of immigrants was much lower and most immigrants arrived from Iran, China, Egypt, Turkey, Syria and Jordan. Back then, most were men who wanted to do business in Romania but also to study at the universities in the country. According to the latest studies, in Romania in 2017 there were approximately 60,000 legal immigrants, most of whom were members of a Romanian family who came to the country to reunite their families. Another majority of them study at the Romanian schools. The biggest problem faced by immigrants in Romania is bureaucracy, with no information in an international language in authorized institutions. However, despite increasing immigration to Romania, it is still difficult for non-EU citizens to find a way to live in Romania due to the numerous conditions they have to meet. For example, the visa application must be submitted to diplomatic missions at Romanian consular offices abroad. This application must be accompanied by many documents that justify the purpose and conditions of the trip and the proof of sufficient means of subsistence during the stay in the country and for leaving the territory of Romania. Short-stay visa - grants the foreign citizen the right to enter the country for a period not exceeding 90 days, uninterrupted or more than one day, within 180 days. This period cannot be extended and the refusal to grant it cannot be disputed. Long-stay visa - is granted for a period of 90 days for a trip or more, giving the citizen the right to temporary residence that can be extended by obtaining the residence permit. This visa may be granted for economic, professional, commercial, study, employment, religious or humanitarian activities, family reunification, diplomatic and official activities or scientific research. Besides these types of visa, non-EU immigrants have the right to request the extension of the temporary residence right in Romania on the basis of a long-term visa. At the same time, the right of long-term residence may be granted on demand for an indefinite period to those who have the right of temporary residence. Non-EU citizens with very good professional qualifications are awarded the EU Blue Card that offers privileges on the right to reside and work in any EU Member State. Finally, immigrants can also receive Romanian citizenship by applying for it and following certain criteria and conditions. The most important condition is that at the time of filing the application they have been born or have been resident in Romania for at least 8 years, or if they are married to a Romanian citizen, at least 5 years have passed since marriage. It is also taken into consideration the age (over 18 years) and their behavior. In addition, they must have the means to live a decent life in the country and have not had a sentence in the country or abroad. In conclusion, if a foreign citizen, both EU and non-EU, meets the above conditions and has minimal knowledge about the culture of the country, civilization and the Romanian language, he is entitled to citizenship, but he must also know the constitutional provisions. The process may be complicated and difficult, so if you find yourself in a position where you want to immigrate to Romania, it is best to talk to an immigration law firm that can help you. Our lawyers from Darie, Manea and Associates are at your disposal for a free consultation. Do not hesitate to contact us! Question: My parents are from Iraq and I want to obtain Romanian citizenship. I need a lawyer to help me in this process. Could you please tell me what is the legal procedure? Answer: Our law firm provides juridical assistance and representation regarding the obtaining or reacquisition of Romanian citizenship. Moreover, our lawyers will also deal with obtaining civil status documents, or any other documents, on all Romanian territory, for completing the necessary file. We ensure representation at filling, submitting and getting the file. We will give you some examples in order for you to understand how to acquire Romanian citizenship on request or if reacquire it if you lost it before December 1989. Knows the Romanian Costitution regulations. The terms written at alin. 1 lit. a) can be reduced to half in case the solicitant is an international known personality or has invested in Romania amounts over 500,000 Euro. Question: I have left Romania before ’89 and lost my Romanian citizenship. How can I reacquire it, is it complicates? I am planning to return to Romania. Answer: Reacquiring the Romanian citizenship for former Romanian citizens that have lost it before 22nd December 1989, due to reasons not related to them is possible. This is also possible in case this citizenship has been revoked without their consent and also for their second degree descendents. The application for acquiring Romanian citizenship is addressed to the Commission for establishing that the conditions for granting the citizenship are met, that operates near the Ministry of Justice Romania. The examination of the application forwarded to the commission will be made only after 30 days from its publication date. Quote any person that can provide useful information. Our law firm has a vast experience regarding the process of acquiring and reacquiring Romanian citizenship. Our lawyers in Bucharest will provide you the necessary assistance regarding the finalization of this process and obtaining a Romanian passport. Contact us for FREE juridical assistance! 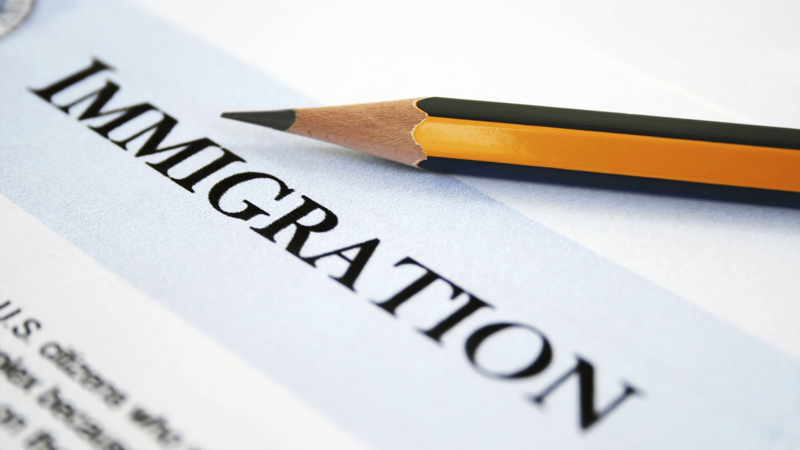 Do you want legal assistance for immigration in Romania?